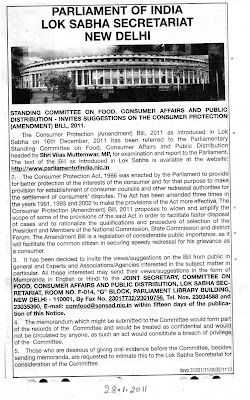 Last date for suggestions to be sent to J C Diwakar Reddy headed Parliamentary Standing Committee on Food, Consumer Affairs and Public Distribution is November 21, 2015. The 60 page long Consumer Protection Bill, 2015, was introduced in Lok Sabha on August 10, 2015 by Union Minister of Consumer Affairs, Food and Public Distribution, Ram Vilas Paswan. It is supposed replace the Consumer Protection Act, 1986. The Statement of Objects and Reasons of the Bill states that this is to widen the ambit and modernise the law on consumer protection due to the changes in the markets. 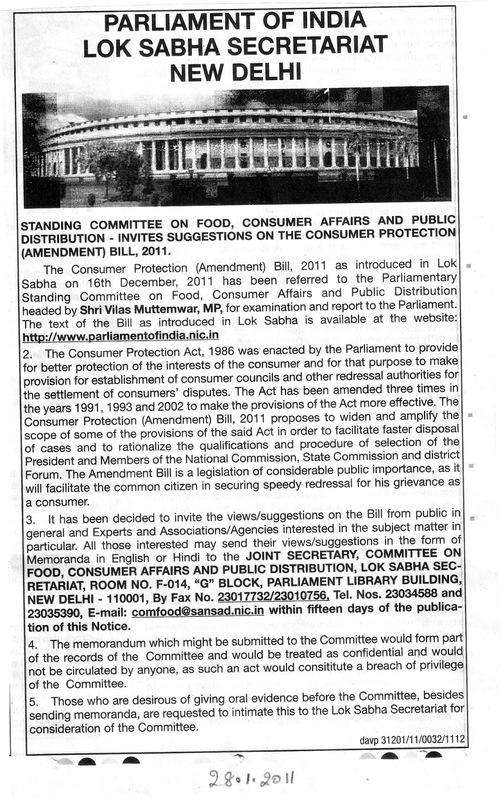 Earlier, Consumer Protection (Amendment) Bill, 2011 was introduced on 16th December 2011. The 2015 Bill defines consumer as any person who buys a good or hires a service for a consideration. This includes the user of such good or service, but not one who obtains the good for resale or commercial purposes. It covers transactions through all modes including offline, online through electronic means, teleshopping, or multi level marketing. 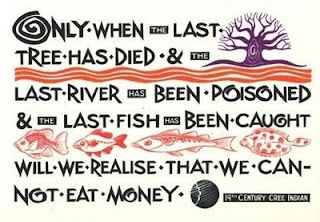 It provides for rights of consumers which includes the right to: (i) be protected against marketing of goods and services which are hazardous to life and property, (ii) be informed of the quality, quantity, potency, purity, standard and price of goods or services, (iii) be assured of access to a variety of goods or services at competitive prices, and (iv) to seek redressal against unfair or restrictive trade practices. As per the Bill the central government will set up the Central Consumer Protection Authority (CCPA) to promote, protect and enforce the rights of consumers. The CCPA will carry out the following functions, among others: (i) inquiring into violations of consumer rights, investigating and launching prosecution at the appropriate forum; (ii) passing orders for recall of goods, or withdrawal of services and reimbursement of the price paid, and pass directions for discontinuation of unfair trade practices; (iii) issuing safety notices and order withdrawal of advertisements; and (iv) declaring contracts that are unfair to a consumer as void. If defects in the manufacture, construction, design, testing, service marketing etc. of a product results in any personal injury or property damage to a consumer, the manufacturer is liable in a product liability action. Consumer Grievance Redressal Commissions is proposed to be set up at the district, state and national levels. A consumer can file a complaint with these commissions, regarding: (i) unfair or restrictive trade practices, (ii) defective goods or services, (iii) overcharging or deceptive charging, (iv) the offering of goods or services for sale which may be hazardous to life and safety, and (v) incurring loss due to an unfair contract. The District Commission is empowered to issue the following orders regarding a complaint: remove the defect, replace the good, return the price amount, stop the sale or manufacture of hazardous products, discontinue unfair trade practices or pay compensation for any loss suffered by the consumer. Appeals from its decisions will be heard by the State Commission. Further appeals may be filed before the National Commission, and then before the Supreme Court. The Bill introduces mediation as a mode of consumer dispute resolution. Consumer Mediation Cells will be established and attached to the redressal commissions at the district, state and national levels. Any person who fails to comply with an order of either of the Commissions would be liable for imprisonment from one month to three years, or with a fine from 10,000 rupees to 50,000 rupees.